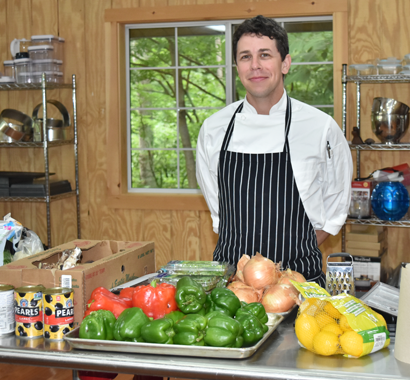 Adam SaNogueira is a masterful chef who loves summer camp. He trained at Michelin star restaurants in Italy and has been an internationally sought after private chef, run commercial kitchens, led a jam and pickle production business and of course spent many years at camp. Adam is excited to share his passion for food and all the ways that food builds community and connects us to the environment. Adam grew up in New York, but currently lives in Durham, North Carolina. He is a proud father of a six-year-old daughter. Adam cannot wait for things to get cooking up at camp. 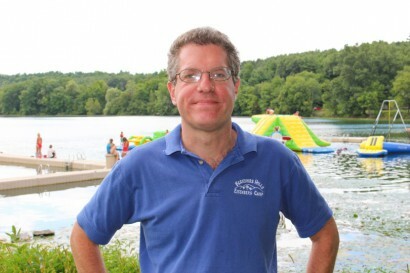 Adam joined Berkshire Hills Eisenberg Camp in 2012 after seven years as the Executive Director of the American Camp Association, New York and New Jersey; the accrediting body for camps. Adam’s work with hundreds of camps throughout the region gives him an incredible perspective. Adam grew up in not for profit values based camping and is excited to be leading a vibrant values oriented camp with a rich history like Berkshire Hills. Adam believes that all children can learn from the Jewish values that are the core of the Berkshire Hills program and is committed to making Berkshire Hills a welcoming place for children of all faiths and backgrounds. Adam attended Yale College and Columbia Law School. He spent ten happy years representing low income tenants in New York City before returning to the world of camp at ACA. Adam lives in Manhattan with his husband Rodrick, daughter Ruthie, son Alexander, dog Benny, and cat Mocha. Jenn has grown up at Berkshire Hills. Her love for camp began when she was just 5 years old. She rose through the units as a camper and eventually grew to become a staff member. Jenn has spent multiple summers as a Unit Head but has also led our staff training efforts and overseen the launch of the cooking center. She is a graduate of Iona College where she received her degree in Childhood Education and she has also done coursework on Camp Administration and Leadership. 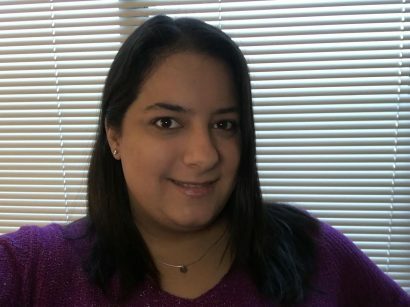 When not working, Jenn finds enjoyment in ballroom dancing or curling up with a good book. Jenn is excited to continue to nurture and grow our Berkshire Hills community and help instill our values into the lives of every camper and staff member.